This item is an image. It was created by an unknown creator on or around the date 1934 1930-1939. 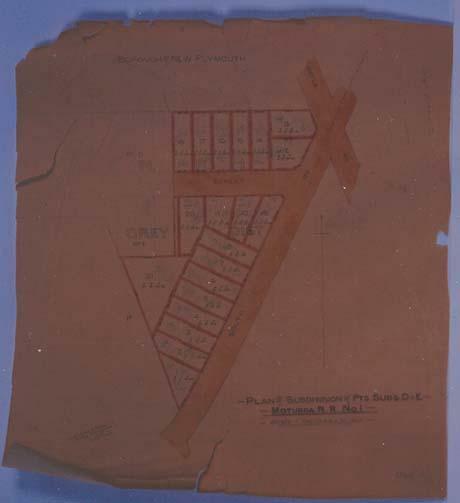 Plan of the subdivision of land within the Grey District, bordering South and Bayly Roads, New Plymouth. Sladden and Palmer, surveyors, 1934. Annotations giving sale prices of sections. Scale: 1 chain to 1 inch. Size: 49cm x 45 cm.